GUEST ARTICLE: From the home of TV excellence; HBO, comes The Wire, a show that leaves no character; no matter how small, by the wayside. Cops and robbers, you thought those great shows like Hill street blues were done and dusted didn’t you? You were thinking all we get nowadays is ‘cop only’ shows like Law & Order and a few bitey English dramas, well draw a breath, wipe your schedule and think again. The ante is way up. And so is the score. From the opening scenes where we find McNulty (Dominic West) shouldering curbside in the night with the despondent friends of a most recently deceased kid named ‘Snot’, to just the third episode where we meet Omar Little (Obama’s favourite character; played by Michael K. Williams), a menacing, lone-wolf stick-up artist who never hits anyone not ‘in the game’, staking-out a drug stash, we become spellbound with this look at the American City. Baltimore City. 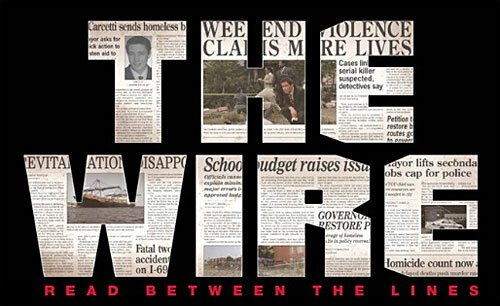 Written mainly by the show’s creator David Simon; a Baltimore journalist with the Baltimore Sun, and Ed Burns; a former Baltimore police detective, The Wire carries the viewer through every crack in the fence as the city struggles with it’s incumbent order of police and drug dealers, ports and politicians, children and teachers, homeless and mayoral candidacies. Packing the punch of five concurrent seasons, The Wire draws much of its life from the character actors, extras and locals fitting seemlessly into rolês alongside those of the pre-cast ensemble to provide the never so correctly used description of ‘gritty realism’. With a soundscape that acts as an extra character, one that is often silent, Blake Leyh’s musical direction heads off the need for any catchy ‘soundtrack’ by anchoring any music firmly to the environment, to the location, to just what you would hear ‘on the corner’, almost in symbiosis with the sound effects themselves. The Wire’s creator, David Simon, poignantly chooses his former profession; Journalism, as the burdened vehicle to carry the increased gravity of the fifth and final series. Having beloved and decried all facets of the city’s people, Simon now leans on The Baltimore Sun to shed its crippled and lopsided light on the story. With out-of-town ownership, budget cuts and a dwindling regard for quality journalism, the paper too, struggles to protect and inform. A theme that carries through every episode of each series as one does what one must to get by. “It’s all in the Game” – Omar. If Charles Dickens was alive today he probably would have created The Wire. It tells stories of injustice, of the poor and the disenfranchised and their struggle against the big end of town. Unlike Dickens, though, The Wire creators David Simon and Ed Burns do it without a hint of sentimentality. When television history is written, little else will rival “The Wire,” a series of such extraordinary depth and ambition that it is, perhaps inevitably, savored only by an appreciative few. Layering each season upon the previous ones, creator David Simon conveys the decaying infrastructure of his hometown Baltimore in searing and sobering fashion — constructing a show that’s surely as impenetrable to the uninitiated as it is intoxicating to the faithful. The Wire is arguably the greatest television programme ever made … Its central character isn’t a cop or a criminal but a city: the faded industrial port of Baltimore, Maryland. Over the course of 60 episodes and multiple storylines, The Wire portrays Baltimore – and by extension urban America as a whole – through the eyes of dozens of characters. Each series focuses on a different facet of the city, including the drug-ravaged housing projects, down-at-heel docks, crumbling public schools and corrupt political administration. Regardless of whether its characters are running drugs or running for office, The Wire refuses to make black-and-white judgements about them. Its prevailing moral universe is grey. 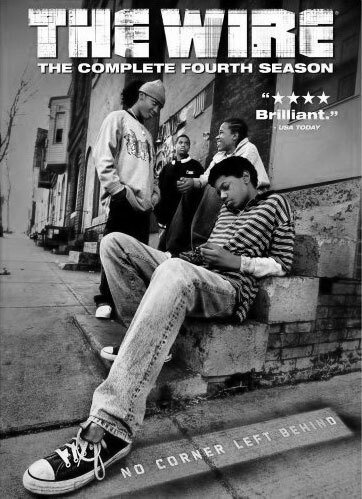 The Wire, which has just begun its fourth season on HBO, is surely the best TV show ever broadcast in America. This claim isn’t based on my having seen all the possible rivals for the title, but on the premise that no other program has ever done anything remotely like what this one does, namely to portray the social, political, and economic life of an American city with the scope, observational precision, and moral vision of great literature. This guest article has been written by my friend Simon Tracey (@Zagundo on Twitter). Simon manages the food/wine operations at Potts Point Liquor & Deli. It may well be the best TV series ever — it probably has the strongest characters and character arcs that I have ever seen in a show. I recommend reading Homicide: A Year on the Killing Streets by David Simon and The Corner by David Simon and Ed Burns. They are both brilliant non-fiction books, and a number of anecdotes and characters make an appearance on The Wire (some of the “characters” in The Corner actually make an appearance as actors on The Wire from memory). Great review Simon – I can’t wait to get on with watching The Wire. I’ve watched Season One and it blew me away – just incredibly good television. 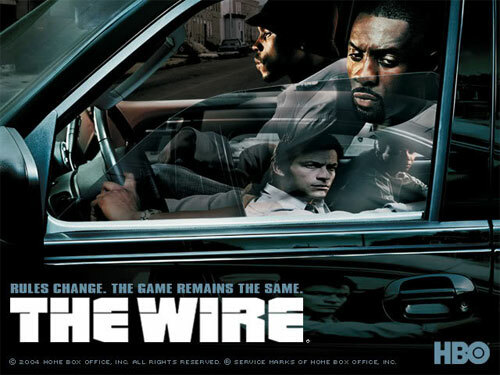 The Sopranos still remains my best ever show, but as I continue with The Wire I will let you know! Meanwhile the links embedded in my blog post about the end of The Sopranos are worth a read if you are interested in pop culture and television. Rushil Mehta: best series ever! Ever. Guaranteed! Funny, dark, action, a message – everything you could want! Pema Newton: It is so fine. Season 2 and Frank Sobotka will haunt me for a long long time. Greg Hampshire: Last season is about the press and corruption of power. Tony Hollingsworth: Err only watched Series 1 – loved it. As for best TV series ever: IMO it’s 1. Sopranos 2. West Wing 3. Six Feet Under 4. 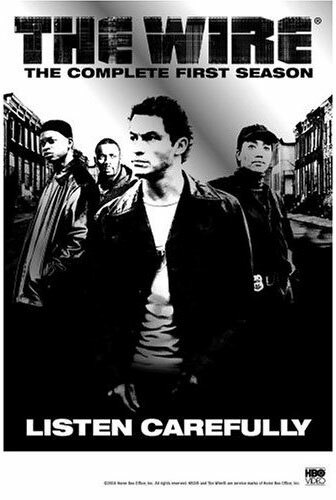 The Wire to be reconsidered until I’ve watched it all. really want to watch Seasons Two onwards now – thanks for sharing! I agree, great review! The characters are edgey and the plot keeps you wanting more. Great to see a more “meaty” cop show. Sydney Morning Herald’s comment sums it up “If Charles Dickens was alive today he probably would have created The Wire” Pure genius! Forgot to mention, JB-HiFi have a sale on The Wire at the moment. Seasons 1 through 4 are $20 each. If you haven’t seen it — go buy them now, lose two weeks of your life, and come out the end having watched the best TV show you will ever see. Thanks for the info Vuki, I’m going to pass this onto friends that haven’t watched it yet! I really like this show, it is one of my absolute favorites and was teetering at #1 with Monk ( I just loved that show), until Spartacus Blood and Sand came along. For me Spartacus is now the best show on TV and better than just about every movie I have seen in the last few years. That said the Wire is still something I can watch again and again. Next PostNext Are Blu-ray Players and Blu-ray Movies Worth Buying?